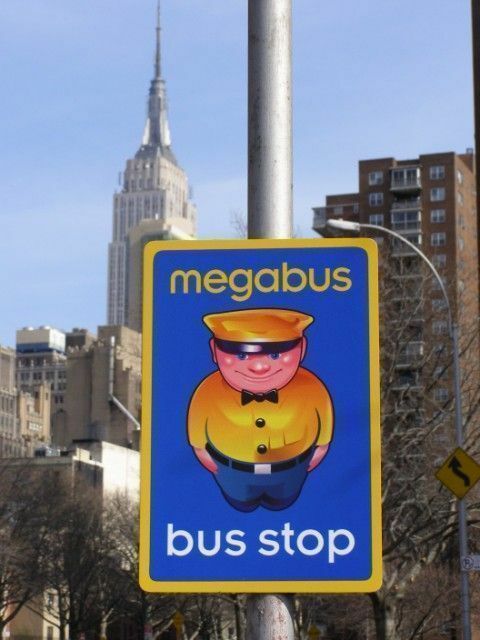 Having successfully taken on Beantown, I was ready for my return trip on Megabus from Boston to New York City. Though I’m exhausted from my stay in Boston, I reflect now almost incredulously on how much I was able to do without having to pay a cent for my Megabus fare. I visited three attractions a day, my favorites including the colossal Egyptian exhibitions at the Museum of Fine Arts, the informative and fascinating aerial tour atop the Skywalk Observatory and the majestic arched ceilings containing the history of The First Church of Christ, Scientist and its adjacent glass globe, The Mapparium. In addition, I was able to sample a variety of Boston cuisine, from an overstuffed roast beef sandwich at Kelly’s in Revere – make sure you pronounce it correctly – to a simple but wonderful scrod platter at The Purple Shamrock in the downtown district. I imagined this was what it was like to get away with murder, without the burning guilt afterward. So, with some reluctance but with the appeal of a warm bus seat, I board and give my sad farewell to the city and its oh-so-clean and efficient T subway system. Yet, as I look around here on the bus, I notice a handful of passengers happily chatting away on their mobiles, not too loud but facing no consequences either for calling home. One for the bus, zero for the train.